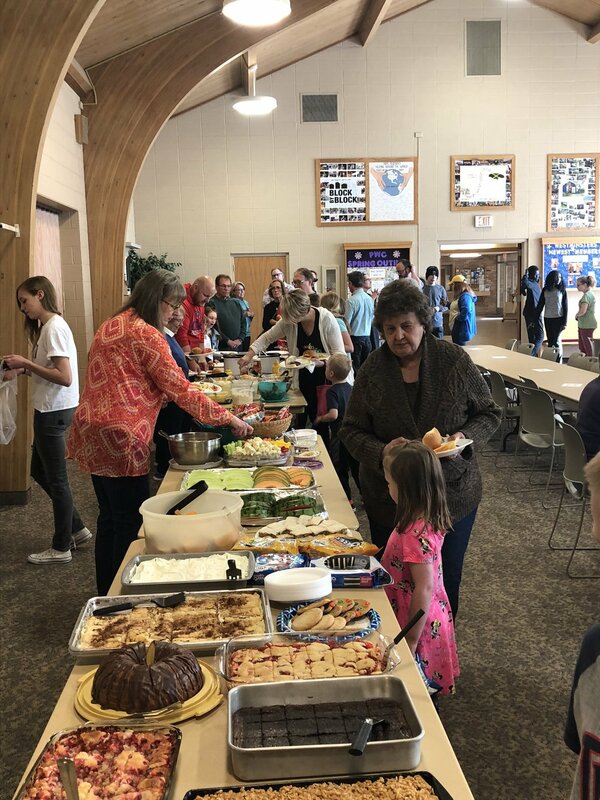 "Growing In Faith, Reaching Out In Love"
Gathering Time is held during the school year most Wednesday evenings beginning at 5:30 with a delicious meal together as a church family. We break into small groups until 7:00 pm with the children going into the Christian Education Wing to have a blast learning about Jesus’ love using Hands-On-Worship! The children have a high energy time together singing and dancing to praise Him while learning scripture memory and Christian values through hands on activities. Fall fest is held in late October as a family fun night which includes dressing up in friendly costumes, games, a meal and fellowship. Wednesday Night Lent also has a special time for a church meal and children’s programs. We continue learning about our glorious God with unique lessons through video and activities.